Learn the Crochet Block Stitch with this Easy Video Tutorial! Home » Patterns » Learn the Crochet Block Stitch with this Easy Video Tutorial! Yes, you can master this beautiful and versatile stitch today! The block stitch is a mainstay in crocheting, and it’s perfect for so many projects. The texture is fabulous for afghans and blankets as well as for many garments including shawls, ponchos, capes, cardigans, vests and much more! 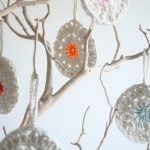 It allows for much creativity, too, as you’ll have a chance to combine colors as you crochet. Thisfabulous and free video tutorial is by designer Olivia of Hopeful Honey. Just follow along and you’ll be crocheting the block stitch before you know it, and you’ll be ready to tackle those wonderful crochet projects that await you!